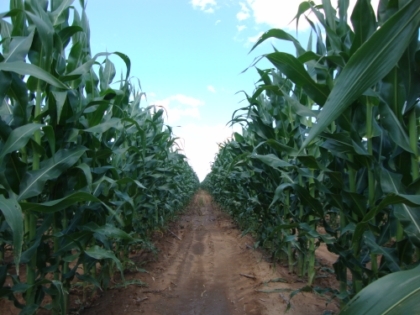 Shamrock Milling Systems design, engineer, erect and commission the highest technical standard maize mills in South Africa. We can offer our customers either new, or a combination of new and used milling equipment, as per their requirements. 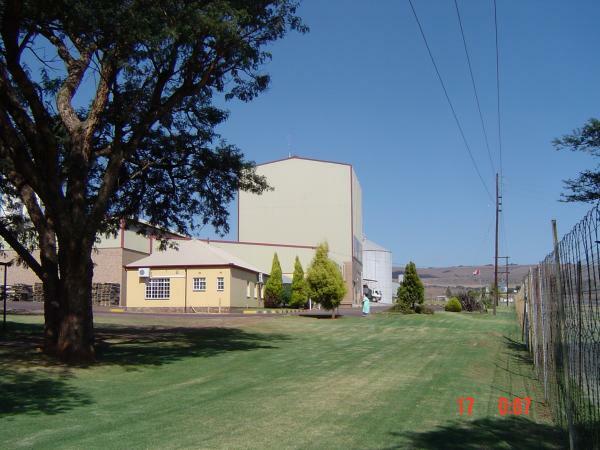 We are recognized as being amongst the leaders in the construction of state of the art maize and wheat mills in South Africa. 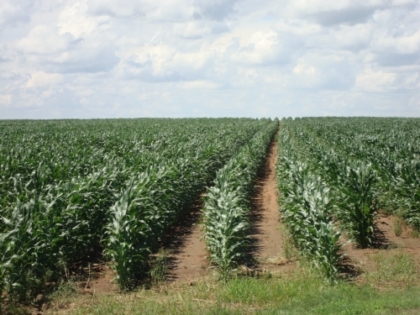 Maize is one of the most important crops produced in the world with direct links to food production, animal feed, bio fuels, starches, alcohol production, snack food manufacturing and literally hundreds of products produced with maize in one or another form in the product. A mild to moderate El Nino prediction in November 2009 luckily did not transpire and the entire growing season in South Africa, this past six months, has been exceptionally good. 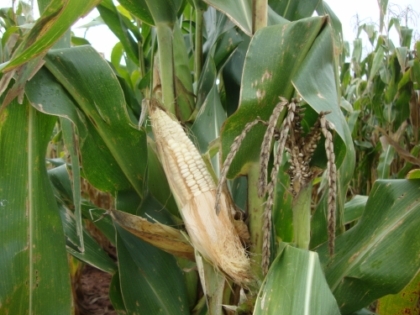 Good October rainfall, which was well distributed, especially in the maize triangle production area, saw 2.7 million hectares planted. 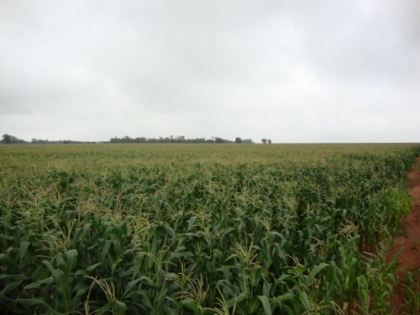 The latest crop production forecast for 2009-10 season, is 12.96 million tons, with 7.8 million white maize and 5.1 million yellow maize expected. This harvest will be South Africa's second highest, coming in just below the record 14.42 million tons delivered in the 1981-82 season. 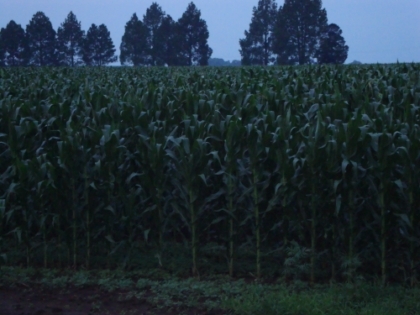 Also of importance is that the crop quality seems to be exceptionally good. 2) Dry maize milling with a number of different process methods. This process resembles the dry maize milling industry only in that the common feed stock is maize and the initial grain receiving systems, mechanical transport elements for the delivery and reclaiming of maize from storage silos, is the same. Once the maize is withdrawn from the silos and passes through a typical maize cleaning plant, this is where the process similarity ends and the highly complex wet milling process starts. Steeping the cleaned, whole kernels for 30 to 50 hours at 51° C in a diluted sulphur dioxide solution. Germ separation, in some cases the germ is further processed to extract oil by press or solvent extraction methods. Starch and protein separation carried out involving washing, passing the slurry through centrifuges and starch washing in hydro clones. De-watering starch and protein separations. Gluten and starch drying systems. Refining the recovered native starches. Treating with an assortment of chemicals such as bleaching agents and acids to modify starches for specific purposes. The glucose can be isomerized into fructose or fermented further into a wide variety of products. The entire process is very high in energy and water consumption and the wet milling process has exceptionally high capital investment costs. Usually wet maize mills have considerable water treatment plants. Building an economically viable sized plant in South Africa today would cost far in excess of R2 Billion. 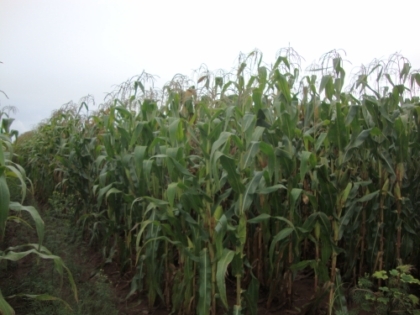 Throughout the world, wet maize mills generally range in capacity from 800-2500 tons per day. Germ (industrial): soluble oils, printing inks, rubber substitutes, rust preventatives. Germ (food): cooking oil, salad dressings, sauces, soups. Native starch: food, bakery products, meat products, pie pastry fillings, canned vegetables, chewing gum. Native starch: industrial, book binding, detergents, paper products, adhesives. Starch (pharmaceutical) : soaps, disinfectants, surgical dressings. Glucose: baby foods, sauces, prepared egg products, frostings and icings. Glucose (Industrial): adhesives, explosives, shoe polish, textiles. Modified starch (food): prepared deserts, bakery products, condiments. Modified starch (industrial): dyes, fireworks, labels, sand paper, wall paper. In conclusion, besides the modification to starch by chemical alteration, the primary difference in the two major categories of milling, is that in wet milling, the protein is separated from the starch and almost pure starches result with protein contents as low as 0,3 %. This separation of starch and protein is only possible through a wet milling process. 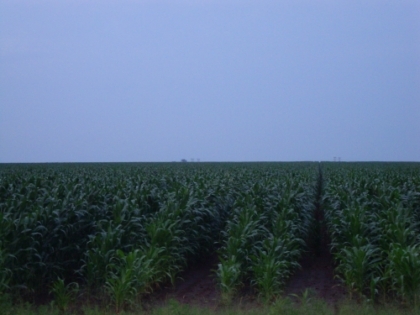 Due to the enormous capital and operation costs, each plant seeks the optimal use and maximum financial realization of each part of the maize kernel. Continual research and development of existing and new products to meet every expanding customers requirements, are the order of the day. It is somewhat of a contradiction to call it "dry maize milling", as the highest quality products are only produced when water is added to the whole, cleaned kernels, prior to the milling process, as many as three times. Besides some novel approaches to dry milling of maize, the following would be the primary methods of dry maize milling. In some cases, in the rural areas of the Southern African region, one finds a very simple hammermill driven by a diesel motor, generator when electricity is not available or PTO from a tractor. The process involves the manual feeding of a bag of whole maize into a receiving hopper with dosing slide to control the feed rate into the hammermill. The maize may be cleaned and there may or may not be a simple magnet device. The process would involve varying diameters of screen size in the hammermill and this could be followed by a direct bagging off of the whole ground maize stock, exiting the hammermill without sieving. A further extension of the system, would be a rudimentary type reel or centrifugal sifter to remove the coarsest fractions of germ and bran for animal feed. The remaining meal, which could be anything from 100% in whole maize meal, to a 90 % extraction, following a rudimentary sieving, could well form the basic dietary needs of a rural community. In these situations there would almost certainly be no vitamin additions and packing materials would consist of anything from a bag to a wheel barrow. These mills are sometimes taken a step further in technical ability, with refinements to the sieving method and a basic maize cleaner and simple conditioning bin placed in front of the mill. There are a number of milling engineers who have specialized in the manufacturing of a simple micro or small milling plant. Very often these mills have a multiple double high rollermills with small diameter rolls and short roller length and these directly feed the ground maize onto reciprocating sieves below the rollers and form one machine. The entire milling machine can fit on the back of a pick-up truck and weighs just over 1000 kg .Further refinement of the system would be a standalone mini sifter or number of them, for various grades and fractions to be separated. In some cases, the coarser fractions will be mechanically or pneumatically conveyed to a further roll or series of rolls for further refinement. 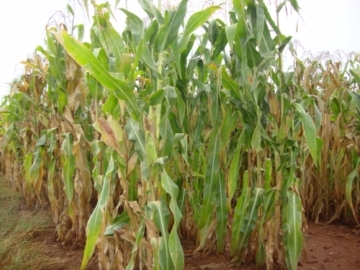 The products produced on these micro or small milling plants, are usually Special and Sifted maize meal and in some cases on an extended process flow, small quantities of Super maize meal could be extracted. These mills have a place in the market and allow low cost entry into the milling industry and supply niche markets. These milling systems are short flow milling systems and cannot produce the highest grade products at a low fat content, at the maximum extraction rates, as obtained in large scale commercial milling plants. Obtaining the highest extraction rates of premium quality products requires the highest application of milling technology. Maize reclaim, cleaning and first conditioning of 6-10 hours. Transfer of maize to second conditioning with a retention time of 10 minutes. In some cases, a third flash conditioning between the outlet of 2nd conditioning bin and first break roll, with the addition of 1 to 2 % water. Three break passages followed by three sizings or reduction passages. In other mills they had 5 consecutive break passages and a germ or tails end passage. Each grinding passage was followed by a sieving with the extraction of meal at each stage. The norm in many of these mills, was an extension of the maize meal collection conveyors into a warehouse for direct bagging off of production. As the industry developed, daylight packing bins were added and technology advancements in all sections of the plant, followed. When a germ roll was employed, a fluting of 9 FPI with a differential of 1 to 1.5 was employed to squeeze and flatten the germ without cutting. There were quite a number of standard mills installed throughout the country with four or five rollermills producing 8 or 10 individual passages, and for a five ton mill, a single six section plansifter was more than sufficient, with a number of the end passages only requiring half a plansifter section. The mills that were better equipped would have three or four aspirators on the breaks and first reduction and possibly a bran finisher to clean up the tail end offal streams. These mills had two maize meal collection screw conveyors for special and sifted and normally a flap with fine germ would be diverted into the sifted conveyor to produce unsifted maize meal. A germ collection conveyor would be directed to a far corner of the warehouse to segregate the offal packing operation from the maize meal. As briefly mentioned in the rollermill degermination paragraph above, we understand the Beall degerminator first appeared in the South African maize milling industry in the mid nineteen sixties. In those early mills there was a considerable belief that the maize should be treated with steam and hot water prior to degermination and that this enhanced the maize meal taste and assisted in the following cooking process. Over the years, the general mess and maintenance associated with steam conditioners and costs of running boilers, has all but seen the disappearance of steam as a conditioning agent. The original Beall degerminator patented in 1901, had many modifications made to it over the 90 years that it existed as the core determination machine in the maize milling industry. Over the years all the various milling engineers made modifications to the original basic conical rotor machine. Some adjusted the rotor in relation to the stator and others visa versa to adjust the grinding gap. All and every means of adjusting and modifying the stock retarding/retention gate, were tried and tested to control retention time. In the mid nineteen eighties a cylindrical version of the Beall type degerminator was introduced with adjusting stationary side walls forming the conical shape within the grinding chamber, rather than the standard Beall Rotor, which was conical. The typical degerminator capacity was 3000-3500 KG/hour and the overtails/thru?s ratio was 70%-30%.The standard motor was 55 kW and normal amps drawn was 60-80 amps depending on how hard the grinding requirement was. There are always exceptions to the rule and in some cases millers fed higher capacities thru the machine with 75 kW motors. At higher capacities the machine becomes a conveyor and results with a high percentage of un-effected kernels exiting the machine. As the machine is relatively crude in design and grinding gap tolerances of no importance give or take 1mm some millers sprayed the rotors with tungsten to extend grinding life of the knobs on the rotor. As this machine is longer the prominent degerminating machine in the South African maize milling industry our technical overview will focus on the latest maize mills using high compression degermination. In early 2000, maize mills in South Africa started to replace the Beall degerminator with new technology so-called high compression degerminators. There are two main models on the market, one a horizontal operating machine and the other vertical. Both of these machines are equipped with a main drive 75 kW motor and an on board screen cleaning fan requiring a 3 kW motor. The big difference between these new degerminators and their predecessors, is that the Beall degerminator which was horizontal in operation typically had a screen from 4.75 mm to 6.35 mm (1/4 inch) in diameter. The latest high compression degerminators have screens with narrow 1.3 x 15 mm long slots or 1.1mm x 12mm. The principle difference between the two machines, is that with the Beall type degerminator, quite a considerable fraction of endosperm broken pieces and almost all the germ and bran particles, passed through the screen and required considerable grading and aspiration systems and in some cases concentrators to grade this mixed fraction, prior to stock reaching the rollermills. With the new degerminator and its considerably small screen aperture, there is only the smallest chips of endosperm along with some of the germ and bran going through the screen and this fraction receives no further treatment and goes directly to offal. There is an on board fan which blows air from inside the screen to the outside and thereby assists the screen to stay open and the thru's stock to pass through. The thru's stock along with its 30-40 m³/min of air from the machine on board fan, has to be evacuated from the machine and therefore these new degerminators, by necessity, have higher pneumatic requirements than their predecessor. The thru's stock require a strong pneumatic system with a high air to stock ratio. There were some attempts made in the early years of these new degerminators operating to recover some of the tiny broken chips of endosperm within this thru's fraction. However the quantity of equipment required and the complicated, wet, high fat nature of the stock, resulted in this effort being abandoned. In all the mills we are involved with, the thru's stock from these new high compression degerminators, goes directly to offal. Differing from one mill to another, the stock may or may not be dried. The stock does have a very high moisture content, as high as 20 % in some cases. However when its pneumatically conveyed in mill suction pneumatic conveying systems and pressure pneumatic transport blowlines to bulk out-loading bins, and mixes with the dryer germ, bran stocks and screenings coming from the milling process itself, the overall moisture can be acceptable without drying. As everyone involved with milling will know, germ can be stored in bulk in preparation for loading, but there are two simple facts that determine whether the stock can be discharged trouble free from those bins or not. They are moisture content and storage time. If wet offal is allowed to rest over a weekend in even the best designed bulk germ out-loading bins, serious problems can be encountered discharging. The percentage of thru's stock from these new degerminators which exit the milling process directly from the degerminator differs from one mill to another. Depending on grinding effect it is between 14-18 % in conventional maize meal plants and in grits mills it can run up to 20 % as excessively hard grinding of specially selected vitreous kernels can be required. Considering these sections of the plant, the following would be an ideal process flow and the equipment necessary to achieve best practice. Intake pit preferably in a curtained or secluded area on the site to minimize dust omissions. Installation of Burnley baffles in the intake hopper to minimize dust omissions and to also minimize the exhaust requirements to effectively aspirate the intake pit. The necessary fan and filter system for the intake area with the screenings generated in this area, conveyed pneumatically to the screenings holding bin. Ideally there would be a separate screenings scale on the bin top area, to have control over the quantity of screens generated in that area. The necessary mechanical conveying systems required to convey maize from the intake pit to the storage silos. Typical elements used are bucket elevators, chain or belt conveyors and tube screw feeders in some cases. Spouts entering bins should have pneumatic slides for automation of the selected route and ideally aspiration points on each individual bin, should also have a pneumatic butterfly valve, so that the minimum quantity of aspiration air is used and that available is directed to where it is needed most. Intake systems usually have road or rail weigh bridges and these are sometimes supplemented within the mill with a large intake scale. This could be considered a nice-to-have, in addition to the weighbridges. The ideal intake system would have at least a drum sieve cleaner or preferably a proper milling separator to remove coarse impurities from the maize before storage. The milling separator should have aspiration channels and catch cyclones for adjustment control of the aspiration channel. The maize stream should also be fed over multiple ultra powerful magnets, so as to protect equipment from damage and avoid blockages on silo outlets or discharge silo tube screw augers jamming with metal. Screenings generated from all the above equipment, should ideally all feed into the intake screening scale. Silo discharge systems consist of volumetric measurers, flow balancers, tube screw feeders, or simple gravimetric slides with graduation markings for settings. In the case of all of the above, it is good practice to have initial first manually operated slide to close off feed from that silo and allow maintenance to be carried out on whatever dosing device is selected. Transport systems to the mill would employ the typical mechanical conveying equipment, utilizing elevators, chain or belt conveyors, and the maize flow typically would go directly to the cleaning plant, being fed at the controlled discharge rate from the silo. Cleaning equipment usually consists of generously sized milling separator with aspiration channel and catch cyclone and dry destoners in the case of grits mills. The vast majority of South African maize mills do not use dry destoners. Cleaned maize is elevated to the top floor of the plant to feed the maize conditioning equipment and this can consist of an elementary waterwheel or flow tube with solenoid valve to the latest automatic moisture control equipment. This equipment has not been used much in the maize industry up to date, but it has been a main feature of the wheat milling industry for the past 30 years. There are simply no norms in terms of conditioning time and we know of mills having anything from 3 hours to 8 hours conditioning time. Typical moisture contents of SA maize delivered to a mill, is 12.5 % moisture content and this is usually elevated to 15 to 15.5 % for maize existing the first conditioning bins. In mills where colour sorters are employed to eradicate defective kernels and kernels of another colour, these machines are placed in the flow between 1st and 2nd conditioning. Second conditioning would normally consist of a 0.5 % moisture addition and a retention time of anything up to ten minutes. When the maize mill is on the same premises as a feed mill, undersized graded kernels can possibly be directed to the feed mill. Alternatively the maize is graded into two sizes and directed separately to separate conditioning bins where they are treated differently. Depending on the ratio of large and small kernels, which is determined and can be controlled by the screen size selection, these two streams in larger mills, can be fed to separate degerminators for better performance and control of the degermination process. Feed rate control device under second conditioning bin. Third conditioning conveyor with between 1 and 2 % flash water addition and mixing conveyor with 1 minute retention time before feeding the degerminator. Powerful magnet to protect degerminator. Degerminator with 75 kW motor with maximum capacity of 7 tph. Degerminator with 3 kW onboard screen cleaning fan. Degerminator thru's pneumatic conveying system consisting of medium pressure fan, low air to stock ratio lift, receiving cyclone, manifold filter and aspiration ducting venting to atmosphere. Normally each degerminator requires about 11 kW pneumatic power on the degerminator thru's. The degerminator thru's stock accounts for 15 to 20 % of the feed rate and is directed to the germ scale and blow line to bulk storage, or fed into a drying system. The drying system can be thermo pneumatic, which is clean and neat and the source of energy for the heat exchanger can be electric elements or steam radiators or gas burners to heat the air. Another energy source for the drying system could be a rotary tubular bundle drier, which require considerable maintenance and floor space and a steam boiler system on site. Tubular bundle driers are cheaper to operate than electrically powered thermo pneumatics. In any case, whether the stock is dried on a rotary bundle drier or thermo pneumatic, the stock typically exits such drying systems with about 60 to 70Â° C and requires cooling before further processing. Typical cooling lifts have very low air to stock ratios so that there is an effective cooling of the stock in the available height of the mill building. When height is restrictive, the cooling lifts can be directed on extended horizontal pipe runs to obtain retention time. After drying and cooling, the stock would be directed to the common or individual germ scale as the case may be. On a 7000 kg/hour degerminator feed, the overtails will be 85 %, i.e. 5950 kg and each pneumatic lift to handle that capacity, will consume approx. 9 kW of the total pneumatic system handling this section. An alternative is to place the degerminators above the plansifters and feed directly into the plansifters, however there are plant layout and spouting angles to be considered and the plansifter will require considerable aspiration, typically with a double inlet into the sifter, so there is good, effective aspiration. Even with the best aspiration, this hot humid stock coming directly from the degerminators, will greatly reduce the expected life span of the sieve boxes in this section. A third alternative is to have a collection screw conveyor under the degerminators and feed a bucket elevator for mechanical transport to the plansifter section or sections as the case may be. A problem with this solution is the accurate splitting of the stock onto multiple plansifter sections and if height is permitting, a rotary distributer valve is an ideal way to accurately split the stock. All the mechanical elements should have strong aspiration connections. Grading of the degerminator stock will be carried out on the required number of plansifter sections. The overtails from one degerminator, which has the maximum feedrate capacity of 7000 kg per hour, will result in 5950 kg/hr of stock to be graded. This can be done on one plansifter section, with about 22 sieve boxes. This plansifter section is normally referred to as Grader One and due to the high capacity and height requirement of the top boxes, it is usually necessary to send the thru?s of about 2000 microns to an extension grader plansifter, where a further three or four separations of the finer stocks is made. This extension grader plansifter would be referred to as Grader Two. From the graders, the various granulations are sent to a substantial bank of aspirators, concentrators, and purifiers to remove as much bran and germ particles before stock enters the milling system proper. Grading the degerminator stock, should preferably be preceded by an aspirator so as to relieve the plansifter section of as much as possible of voluminous bran and germ stocks, that are high in moisture content. Unlike the previous Beall type degerminators, where there was little or no bran or germ particles in the overtails stock, it must be remembered that there is almost half of the total bran and germ from the milling system, in this overtails stock. In the modern maize mill, with 60 % and higher off-takes of high grade products, it is not unusual, with poor maize quality, to have offals as high as 33 %. The average is 27 to 30%, and since 15 % of the offals is generated on the degerminator thru?s, which goes directly to the germ scale, the other 15 % is either in loose individual pieces of bran or germ within the overtails stock, or adhering to the large endosperm stock requiring separation and removal on the break rollermills and separation on the sieving system. The composition of the overtails stock is 15 % germ and bran particles, and about 70% of the various granulations of endosperm. When samp (flaking grits) is required, it is removed on the grader 1 plansifter section and typically has a granulation of 4500 to 6300 microns (3-5 wm). Samp or flaking grits would require an additional passage over a generously proportioned aspirator and in some cases, the initial aspirator would be followed by a turbo sifter or polisher and this process could in turn be followed by a second and final aspiration to produce a premium quality product. It is also possible when there are extremely tight granulation specifications on samp or flaking grits, that the stock would go for a further grading in a mini sifter or plansifter section, depending on capacity, to control the granulation further. In some countries, there are very tight silica specifications and we know of many cases where the graded, polished samp or flaking grit is passed over a dry de-stoner before conveying to bag off or bulk storage. It may seem like a considerable amount of machinery is used for one product, but these extensive systems do exist because in many cases, this samp or flaking grits, is the primary ingredient for further industrial manufacturing, i.e., snack foods, cornflakes. There are sometimes moisture specification requirements, which will require the entire stream to be dried. Drying would typically take place, ex grader 1, so that any fines and attrition flour generated in the thermo and cooling pneumatic systems, could be removed in the above mentioned polishing, aspiration, and additional grading systems. If there is a consistent high off take of samp (flaking grits), it has a huge bearing on the requisite machinery requirements downstream. The maize milling section comprising of rollermills, plansifters, purifiers, aspirators and numerous auxiliary pieces of equipment, are determined by the required mill capacity and the granulation, fat and fibre content of the finished products. Other considerations are the possible requirement for very fine granulation flours and whether there is an off take of coarse products required, i.e. samp, rice, grits. For each milling system, after considering the above requirements, the resultant equipment can be represented in terms of specific values that allow us as milling engineers, to ensure there is adequate equipment in the mill to perform properly and meet capacity and design specifications. In the South African maize milling industry, there is a never ending demand for higher grade products and the past 10 years has seen the almost total disappearance of Sifted and Unsifted Maize Meal and it is becoming increasingly difficult to sell Special Maize Meal in certain market areas. To meet these requirements, Shamrock Milling Systems believe in the approach of highest technical design and generous application of equipment that pays for itself over and over. The price differential today between maize germ meal and the lowest grade maize meal, is so considerable, that in large scale commercial milling operations, every possible effort to refine and produce the highest quality products, with the minimal presence of germ, bran particles or black specs, requires the highest levels of technical engineering. Today's mills must endeavor to produce the maximum extraction of high grades, with the lowest possible germ percentage. Further driving this highest technical approach, is the fact that there are huge fluctuations in the supply and demand for germ meal from feedlots. High/low rain fall, seasonal demand for meat products, abnormal milling volumes due to supplying world food program production requirements and exports to neighbouring countries, all contribute to the abnormal supply and demand conditions for germ meal. The price can be 100 % higher or lower over a given 6 month period. 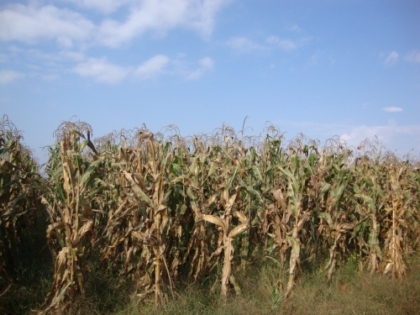 Further adding to the supply of germ meal, is the fact that over the last ten years, the increasing demand for higher grade products has seen the average germ extraction in the large scale commercial milling plants, going from a norm of 23 to 25 %, to anything from 27 to 33 %, depending on extraction of high grade products and maize quality. This in effect, has added 5% of the total milling production over the past 10 years from human consumption to the animal feed industry and is a direct result of the ever increasing demand for low fat content Super Maize meal or simply further refined, purer products. Unsifted and sifted maize meal, the main stay of the milling industry in South Africa in the sixties, seventies and early eighties, have all but disappeared from the large scale commercial millers' production statements. The term specific roller length, specific sieving surface, specific purifier width, specific aspiration length, are all design criteria which allow the milling engineer to plan, design or evaluate an existing milling system, relative to the capacity and production requirements. There are cases we know of, where these best-practice criteria are not adhered to and such milling systems are compromised in extraction and product quality. Over the past 20 years, South African white maize has become less vitreous than what it used to be. Reasons advanced for this by producers and plant breeders, are climatic conditions, GM varieties, faster growing cultivars, etc. The maize meal market today, calls for generally more granular meals, and there are very small markets for fine maize flours. Grinding on short roller lengths, results in a greater production of fines at each grinding passage, and therefore we favour a longer more gradual reduction system. This results in a more controllable milling process and closer granulation ranges being sent to individual passages. A further benefit of narrower granulation ranges on rolls, is that the stock more closely suits the specific fluting profile on that particular rollermill passage. It is for this reason that we design modern roller lengths on anything from 5 ? 6.5 mm. The wide variation is explained in a 6 and 12 tons rollermill layout below and an example of how differences in specific values occur, is the following example. It is always easier to equip bigger mills than smaller capacity plants, as the 6 and 12 ton mill example below, illustrates. A six ton mill, requires four rollermills to produce the necessary individual number of passages (8 passages). We would never recommend to install an 800 mm or 1000 mm rollermill in a maize mill. The price difference between an 800 and 1000 mm rollermill is 6 %, and between a 1000 mm and a 1250 mm rollermill, is a further 5.5 %. The cost difference is negligible relative to the investment in a mill and the benefits are considerable. Longer periods between roll changes, thinner layer of stock between rolls, resulting in more accurate grinding, and only one set of roll sizes for spares. On the passage G1 (Germ 1) 0.28 mm specific roller length is sufficient, however, the same 1250 rollermill can be used from a 6 ton mill to an 18 ton mill, e.g. The following two examples are of best practice allocation of rollermills, for a 6 tph (1 Degerminator) and a 12 tph (2 degerminator) milling plant. In the 6 ton mill, four rollermills with 8 passages is adequate and in the 12 ton mill, 6 rollermills provide sufficient roller length.